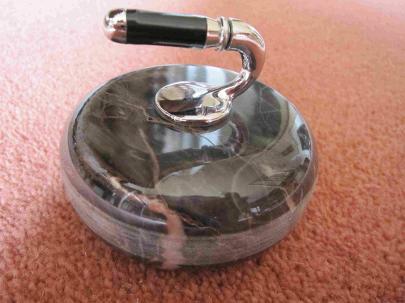 Right: The base of the paperweight. 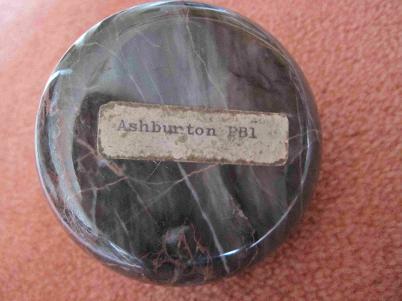 Left: A paperweight made out of Ashburton marble. 7 cm in diameter, the date is unknown, but I am presuming that it was made in the mid to late 20th century. Left: A salt and pepper shaker, probably made by Devonmoor, a company that existed briefly in 1913-14, and then from 1922 -1981. 'Blueware' with place names was one line produced from the 1950s. 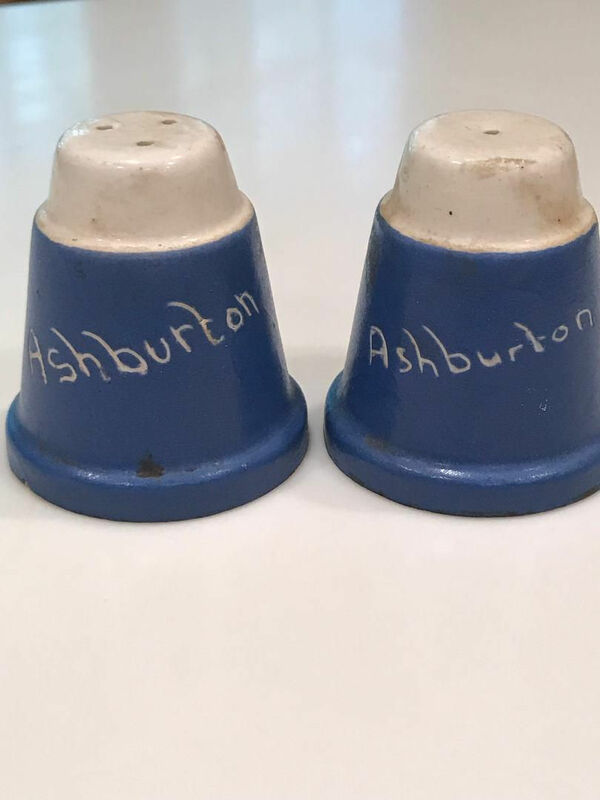 The shakers belong to a Milton family descendant now living in the United States - Jessie, née Milton, returned to Ashburton in the 1960s, and she may have taken them home with her at that time. For more on the Milton family, see under Individual families 2. Many thanks to Charles Brain for the photograph.